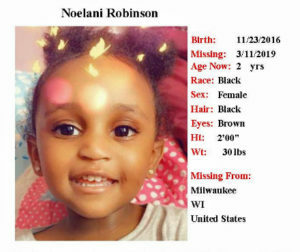 Milwaukee police are asking for nationwide help in finding two-year-old Noelani Robinson. 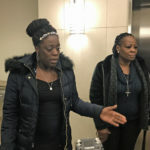 During a Friday press conference, Milwaukee Police Chief Alfonso Morales said that the toddler’s mother Sierra Robinson was murdered – allegedly by Noelani’s father, Dariaz Higgins. Morales also said Higgins and his victim have been involved in human trafficking. The FBI is now offering a $5,000 reward for information that helps locate the little girl. No charges have been filed, in an alleged assault by a white educator on a black Madison middle school student. Dane County District Attorney Ismael Ozanne said police found no probable cause for a charge. He asked to review reports on the February 13 incident at Whitehorse Middle School. “It’s sad, but it also teaches her a lesson that white people are privileged,” Price said following Ozanne’s announcement. Price’s daughter has since returned to school. A district spokeswoman said information from police reports will be used to “take appropriate action.” Mueller-Owens will remain on leave while the district determines next steps. Madison’s water utility shuts down a North Side well contaminated with toxic chemicals. An announcement from the water utility said it expects the well to come back on line this summer, after state public health officials determine potential health hazards of water contaminated with per-and poly-fluoroalkyls, known by the acronym PFAS. A spokeswoman said temporarily using other wells may give families in the Well 15 service area some peace of mind. Truax Air National Guard base about a mile north of well 15 is the likely source. A full investigation and cleanup has yet to be scheduled because of budget constraints. PFAS is an ingredient in firefighting foam. 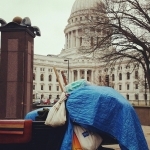 Assembly Republicans have introduced a package of legislation aimed at keeping people housed. It would double annual state funding for direct housing assistance, adding about $4 million. Karla Thennes, executive director for Porchlight in Madison, says they’d like to attain “functional zero” on homelessness. 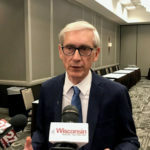 Governor Tony Evers has appointed himself to lead the state’s panel on homelessness, replacing former lieutenant governor Rebecca Kleefisch. A scary situation for a student in West Allis on Thursday after a fifth grader at Horace Mann Middle School says a man tried to kidnap her. He allegedly grabbed her by the wrist and tried to pull her into his car, but she fought him off with her bag of Valentine’s candy. Police say the man is described as possibly Hispanic, between 30 and 40 years old, around 5 and a half feet tall and walked with a limp. He was driving a white S U V with larger than normal tires. The WIAA wants to remind parents to enjoy their children’s sporting events, and not get angry at officials. Spokesman Todd Clark says parents should sit back, relax and cheer for their kids, because it is just a game. The WIAA has seen a decline in the number of referees that want to work sporting events, and many of them cite negativity from parents as one of the reasons they don’t want to keep officiating. Clark says berating or getting heated at refs not only discourages them from working in the future, it also reflects badly on the children of those parents. Referee turnover is directly affecting the ability to field officials for some sporting events. The city of Madison will begin making contingency plans in February, if the partial federal government shutdown continues to drag on. 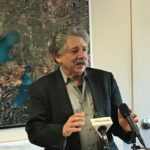 In a Wednesday afternoon press conference, Madison Mayor Paul Soglin said the city has enough resources to manage a variety of city programs through February, but by March federal money will begin to dry up. We’ve been though some of these shutdowns before. I have never seen one where a president has held the whole nation hostage, and jeapordized the lives of so many people over a temper tantrum on a specific project,” Soglin said. City departments will begin planning in February for contingency plans for programs that typically are reimbursed by the federal government. Some of those plans may have to be approved by the city council, Soglin said. Of greatest concern, are programs that help adults and children, such as SNAP, that are reimbursed by the federal government, Soglin said. Closings on VA and some FHA loans also are in jeopardy unless the city steps in, Soglin said. Soglin said the city will have to take on some of the responsibilities that won’t be reimbursed. The Madison Fire Department receives no federal funds, but the Madison Police Department receives several federal grants that will need to be covered by city funds, Soglin said. Wisconsin’s adult smoking rate continues to decline. But it’s still above the national rate of 14 percent. According to the Wisconsin Department of Health Services, the overall smoking rate was 16 percent in 2017, a drop from 21 percent in 2011. Native American and African-American residents continue to smoke at much higher rates, 37 and 28 percent, respectively. And low income adults, adults who did not graduate from high school, and those diagnosed with depression also smoke at higher rates. For free assistance and a customized quit plan, call the Wisconsin Tobacco Quit Line at 1-800-QUIT NOW.